Since the spring was protected, the rate of water borne diseases has reduced. Our women now spend very little time at the spring because they used to wait for water to clear up after every scoop. 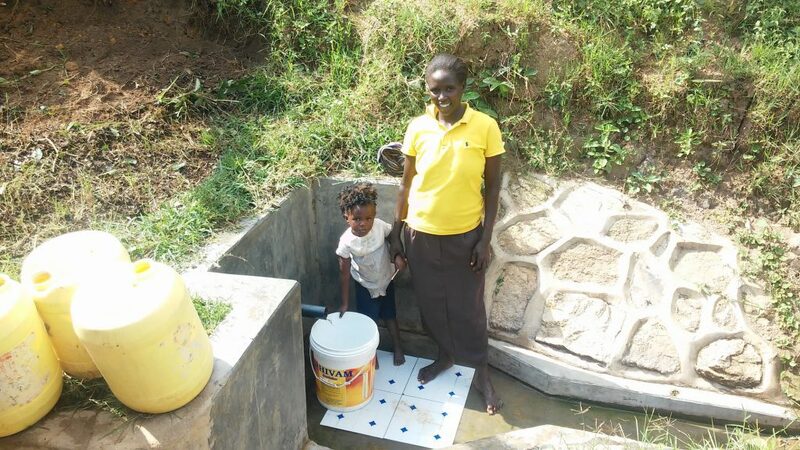 A year ago, generous donors helped build a spring protection and sanitation platforms with the community of Elande Village in Western Kenya. Because of these gifts and contributions from our monthly donors, partners can visit project sites throughout the year, strengthening relationships with communities and evaluating the actual water project. These consistent visits allow us to learn vital lessons and hear amazing stories – we’re excited to share this one from our partner, Joan Were, with you. It was great to see both adults and children practicing the ten steps of hand washing after visiting the toilet and before meals. 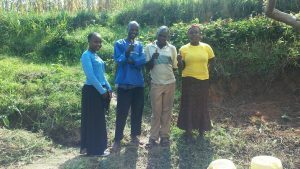 This change can be attributed to the WaSH training that was conducted in the community last year when the spring was protected. 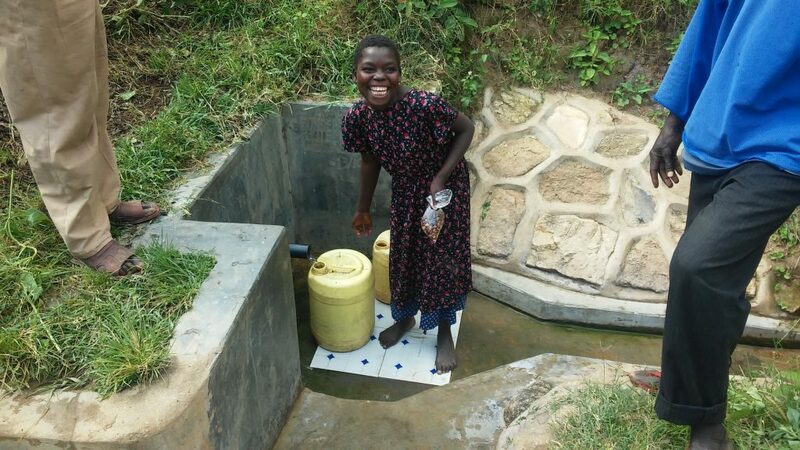 “Now, with the water coming through a pipe, we are sure that we are consuming clean water,” 13-year-old Jevis Shikuku added. We will urge the Community Health Volunteers to keep on making home visits and encourage the homesteads with cows to collect the cow dung in a pit, cover it with dry grass and use it as manure. We will urge the Community Health Volunteers to keep on making home visits and encourage the homesteads to practice good hygiene. 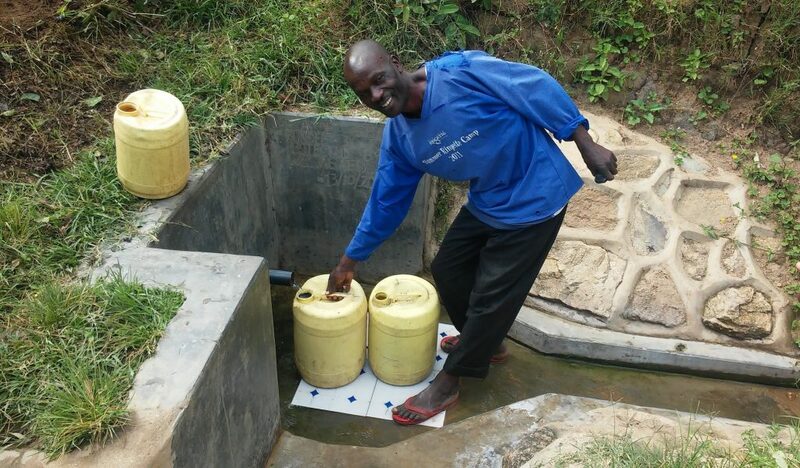 When you invest in The Water Project, you're investing in people like Shikuku Thomas. Your gifts help us reach more communities with the gift of clean, safe water. And every drop helps unlock potential.